 In addition to growing, foraging, and producing our own foodstuffs (mustards, pickles, ferments, jams, jellies and baked goods) we source our North Clare Beef from Sean Haugh, cheeses from St. Tola and Burren Gold, Anam Coffee, Burren Honey, vegetables and additional meats from Michael Monk. Beyond the local ingredients we source items from producers along the Wild Atlantic Way to further strengthen the connections between local and regional producers and native and visiting customers. Our services also find their foundation in local service providers. Our tours use the resources of local bicycles, while our walks continued to strengthen relationships with local landowners. Within our venue we exclusively support local craftspeople for everything from our beautiful woodwork to our essential equipment maintenance. We also provide a shop and gallery where local artists, craftspeople, musicians, and producers can make their works available to the local and visiting public. Special events in our venue also supply an outlet to highlight and support musicians working in our area. Ecotourism focuses on ecologically and socially responsible, nature based tourism that fosters environmental appreciation and understanding while contributing to the local economy. Eco-tourism has become a popular alternative to mass tourism with an emphasis on enriching personal experiences and environmental awareness through interpretation.